Imported pirated and counterfeit merchandise now accounts for 2.5 percent of global imports, up from 1.9 percent in 2008. US intellectual property rights holders suffer the most infringements—20 percent of the total, followed by Italian and French brands, at 15 percent and 12 percent, respectively. Footwear has the most knock-offs, and most fake goods originate in middle income or emerging countries, with China the top producer. The report, released in April 2017, puts the value of imported counterfeit goods worldwide at $461 billion in 2013. A counterfeiting operation no longer elicits the image of a few thieves in some small back room making cheap, obvious knock-offs. Such operations do exist, but so do sophisticated ones that look and act like any production facility—except that the sale of their goods directly siphons money away from legitimate brands. So what measures can a global company take to successfully fight back against this sophisticated enemy? The work of Tiffany’s investigative team is instructive. At a national security conference a few years ago, Tiffany’s Charles Olschanski, CFE, CFI, senior director for investigations services, described their effort, which received an important push from a failed lawsuit against an online marketplace. Trying to make its case in court that counterfeit merchandise was harming the company’s brand and hurting its revenues, Tiffany realized it didn’t have a good grasp of some key data points. “When opposing counsel asked questions, we realized we didn’t know things like how much we spent on brand protection, how many raids we did, and so on,” said Olschanski. For a company that relies on a reputation for quality to the extent that Tiffany does, it was eye opening to realize they had an insufficient working knowledge of their own counterfeit mitigation efforts. Tiffany & Co. was founded in 1837 and has long had a reputation for quality. It makes the championship trophies for most major sports—from the NFL’s Lombardi Trophy to the FedEx Cup in golf—and its jewelry and little blue box are synonymous with luxury. “The little blue box is very important—it is our reputation, it is our brand. When people sell counterfeit blue boxes with fake jewelry, it tarnishes the brand,” said Olschanski in his conference address. The growing popularity of silver jewelry and the rise of the Internet created a perfect storm for counterfeit merchandise labeled as Tiffany, according to Olschanski. It is easier than ever to make passable knock-offs and to get them in front of consumers; the company gets about six or seven notifications of counterfeiting every day. “The images from China are alarming. When you go inside and see the molds, these huge manufacturing operations being done in apartment buildings, it’s amazing how much product there is,” he said. And each poorly fabricated phony product chips away at the retailer’s revenue and its reputation. Sample counterfeit scheme. According to the County of Suffolk (NY) District Attorney’s Office, the director of a Long Island food pantry sold $150,000 worth of counterfeit Tiffany merchandise annually, telling customers that the fake goods, which she purchased online from China, were “trendy, affordable factory seconds” that had been donated to the Greater Port Jefferson Food Pantry by a Tiffany’s factory in Europe. “Tiffany & Co. doesn’t have a factory in Europe and does not sell ‘factory seconds,’ said the Suffolk Country District Attorney in announcing the arrest of Mary Ann Bell. The scheme had lasted three years, with Bell usually selling the fake items at nursing homes and hospitals for an average of $40 for a necklace, earrings, or other jewelry items. Bell admitted purchasing the counterfeit goods for about $5 per item from the supplier in China. A single point of notification and analysis. All reports or complaints of counterfeit merchandise, including those made through customer service channels, are directed to the investigations unit. A global support network. After a possible counterfeit operation is identified somewhere around the globe, “you need reliable vendors on the ground to do the investigations,” said Olschanski. Internal education. Tiffany provides training to get employees to understand the problem of counterfeiting, its consequences for the company and them, and to galvanize their interest in spotting counterfeit goods. “We try to get workers excited about protecting the brand and to empower them,” said Olschanski. Simplified reporting processes. If an employee learns of a bogus Tiffany website, for example, they can easily upload the fake website at a Tiffany intranet page, which features drop-down menus to make the reporting quick and easy, while also giving employees the ability to write in whatever other information they want to report. External training. 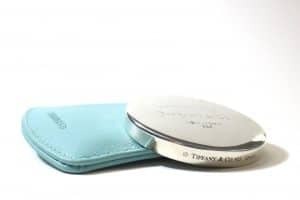 Tiffany has gone to great lengths to make it easier for law enforcement to recognize counterfeit Tiffany merchandise, including producing a sophisticated video that compares the craftsmanship of real and fake items and lists the telltale signs of a counterfeit trademark application. The point of origin or destination is a third opportunity to spot a fake, so the company also educates shippers such as FedEx and DHL. If Tiffany isn’t the recipient or shipper of Tiffany merchandise then it is likely counterfeit, and the same is true of any international shipments allegedly from Tiffany. Metrics. Tiffany improved tracking of its investigations and measuring its progress against counterfeiters. Four primary measures are: (1) Expenses related to the investigations of counterfeit merchandise. (2) Number of product seizures. (3) Money recovered. (4) Uncovered fake Tiffany websites and websites selling bogus Tiffany merchandise in online fraud schemes. This post was originally published in 2017 and was updated February 25, 2019.